Harbour View – On Friday, December 15, 2017, the Governor. of Sint Maarten, His Excellency drs. E.B. Holiday, met with and received an update from formateur Mr. Franklin Meyers on the progress regarding the pending points of the formation. 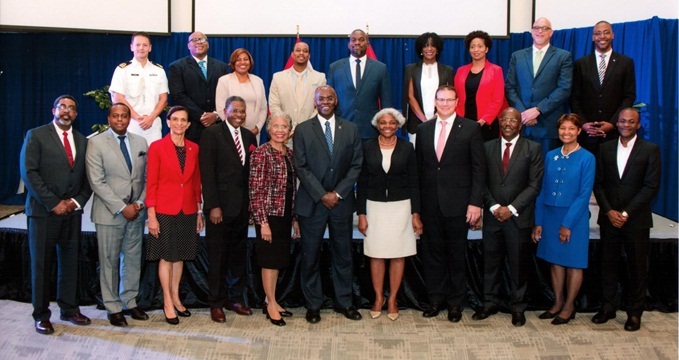 Considering that the background screening of candidate ministers is still ongoing the formateur therefore requested a further extension of his commission to form a new government. Govern.or. Holiday as a result and having assessed the situation extended the commission for Mr. Meyers to present him the final report of the formation process by December 22, 2017.